Kinetic Contemplations is the first book in Chinese by and about Raqs Media Collective. It explores and develops a serious of philosophical questions on time and multi-temporality, how people relate to the digital and their understanding of group creation and co-curation. It manifests the situation of labour transition in the contemporary world and puts forward the concept of seepage in the book. Art critics and scholars including Cuauhtémoc Medina, Svetlana Boym, Molly Nesbit and Lu Xinghua discuss works of art such as Strikes at Time, Time Capsule from 2011(to be opened in 2061) and The Capital of Accumulation. The Raqs Media Collective (Jeebesh Bagchi, Monica Narula & Shuddhabrata Sengupta) are a contemporary art practice based in New Delhi. Their work takes the form of installations, video, photography, image-text collages, on- and off-line media objects, performances and encounters. They cross contemporary and media art practice with historical and philosophical speculation, research and theory. 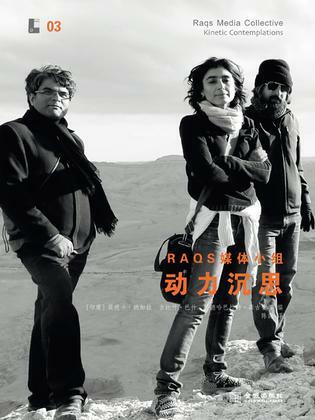 The Raqs collective have exhibited widely, including at Documenta 11, and the Venice, Istanbul, Sao Paulo, Taipei and Sydney Biennales.